Addiction is a complicated condition. In simple terms it can be described as a compulsive behaviour that promotes an intense focus on a substance that yields negative outcomes. Think alcohol, smoking or ICE use. Two fundamental properties that determine addiction include (i) an addictive stimuli that is reinforcing and (ii) a stimuli that is perceived as being inherently beneficial, desirable, or pleasurable (1). Many will become addicted to ICE after repeated exposure despite their best efforts. What usually starts as a social habit quickly morphs into a regular day to day habit. Many make this transition on the guise that it helps them focus and concentrate. This example fulfils both addiction properties of it being both reinforcing and it being perceived as inherently beneficial (at least initially). – Does a large portion of your day revolve around thinking about your substance of choice? – If you drink alcohol, do you spend most of the the day thinking about it, or at least, making plans to drink at the earliest opportunity? – Can you go a day or a week without having the substance? – When you’re not immediately consuming the substance, do you feel down, off, or sick? – Do you feel withdrawal symptoms when you’re not on it? – Do you slowly need to have more and more of the substance over time to secure the same ‘high’. Many will build a tolerance to a drug or alcohol that will often mean more needs to be consumed to reach the preferred state. – Have you tried to reduce consumption on your own accord but failed? – Do you tell yourself goals at the start of the day but ultimately fail by the end of the day? – Do you have family or friends that have remarked that they are worried about you? – Do you isolate yourself from non-using friends in order to consume? Many addicts will completely shut off from social engagements that involve people who don’t consume. – Has your health suffered, have you lost friends or a job because of it? – Are you out of money, or completely ruined financially by it? – Do you feel guilty about consuming the substance/s of choice? – Do you do things that are embarrassing or make you feel shame upon reflection? – Have you hurt anyone, or nearly hurt someone? – Have you lost contact with friends or family members related to use? One form of addiction can be characterised by this example. This example is probably on the less extreme end. For many, it’s gets far worse. Tom goes to work. Work stresses him. He doesn’t like life at the moment. He starts to drink two beer at the end of the day to ‘relax’. He starts with two beers a night but over the course of 6 months, he now drinks eight to ten beers. Soon enough, he can’t recall a day without drinking alcohol. He now begins each day by telling himself that he won’t drink that night or that he will only have one or two to self moderate. He ultimately fails and by the end of the day, he just drinks to ‘help’ him sleep and to relax. He ignores or forgets the things he tells himself. Thinking about drinking takes over as the day progresses. Tom slowly realises he’s addicted to alcohol and doesn’t know how to wind back the habit without some help. He relies on it. He feels uneasy about getting or asking for support, but he knows deep down it’s the right move to get his life back on track. 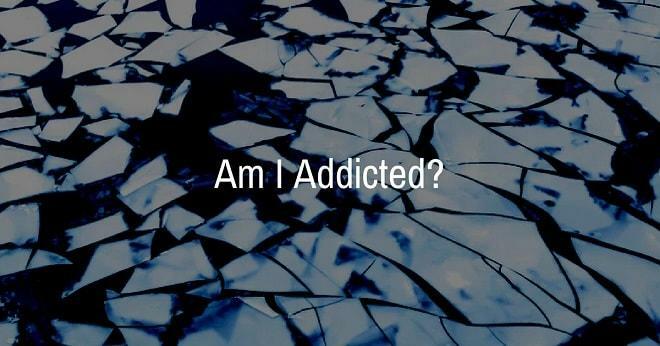 If you’re asking yourself “am I addicted?”, it probably indicates that something isn’t right. No one likes to feel controlled or trapped by a substance in order to live their life. One of the best things about being free from addiction is that it offers potential for life improvement in a big way. The door becomes open again for opportunity to have a much better life. It’s why so many end up at rehab and fully recover to feel how life can be so good again. If you feel as if you’re addicted to a substance and its yielding negative outcome after negative outcome, it may be time to seek assistance. Life can be destroyed by addiction pretty quickly. If so, your first point of support should be your GP and or your specialist. If you feel rehab is the right move and would like to know more, you’re more than welcome to call the team here at Refocus. No one is going to pressure you on the call. We will simply offer information to you or your loved one in order to make a decision. Life can be turned around pretty quickly with the right support, education and treatment. There is no point in waiting until the time is right. There is no perfect time. Please call (03) 9826 0949 if you’re interested in getting some info.